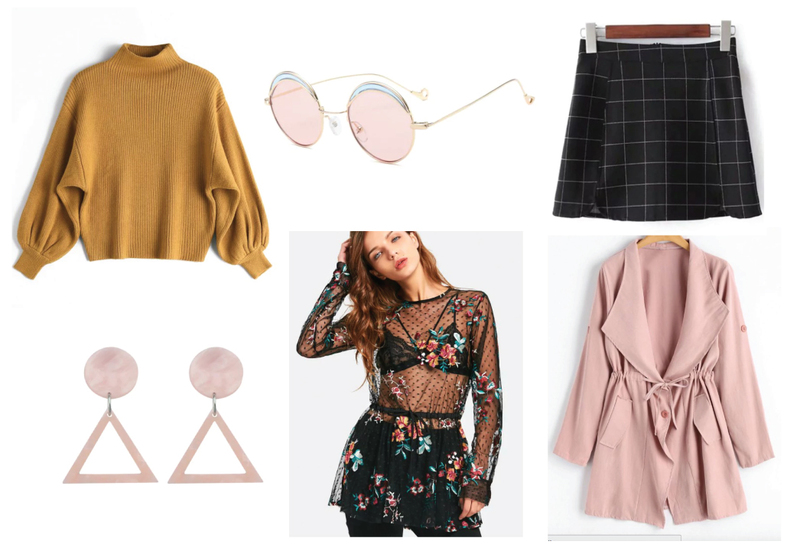 Today's wish list Wednesday features fall pieces from Zaful! I am currently loving sheer fabrics, chunky knits, and light jackets. Pink accessories are always on my wish list as well! Mustard yellow has been showing up everywhere - same with this dusty blush shade. I think they are perfect for fall!